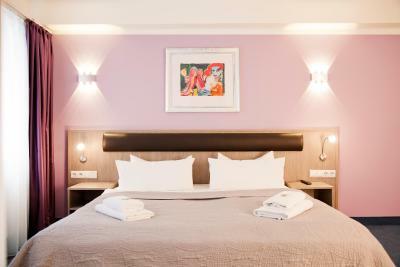 Lock in a great price for Hotel Nikolai Residence – rated 9.1 by recent guests! 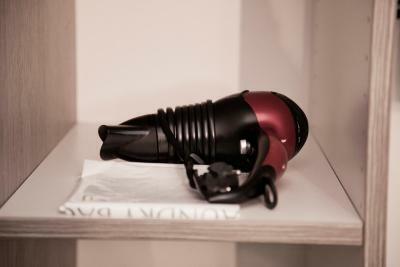 The room was beautiful and very well equipped! We loved the balcony...an unexpected and wonderful addition. Our son loved it all! The location couldn't be better and the staff was helpful, accommodating and gave us wonderful tips! We can't wait to go back and we will tell all our friends!!!! 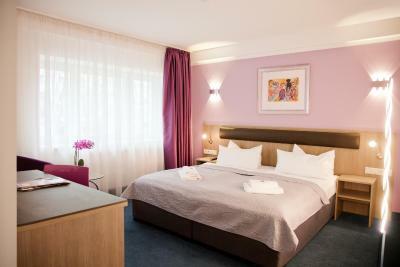 This hotel is perfect..clean, convenient and everything is perfect..
We were there to support our daughter who was running the Berlin Marathon so had a large room with extra bed, large shower room and large balcony overlooking a lovely, quiet courtyard. The accommodation was excellent, so convenient and close to everything we needed. 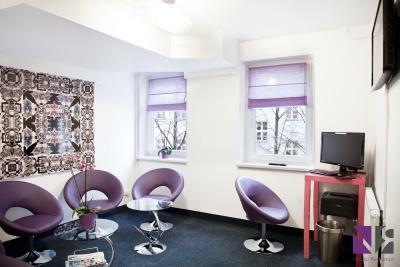 The reception staff were all so helpful, providing help and advice, nothing was too much trouble. 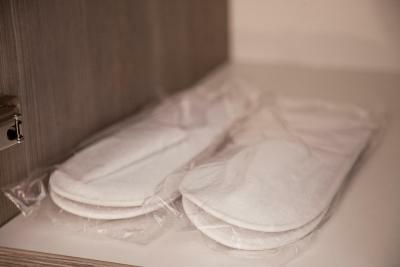 We were able to leave bags securely having arrived early and the late midday check out was very useful on departure. Thank you. 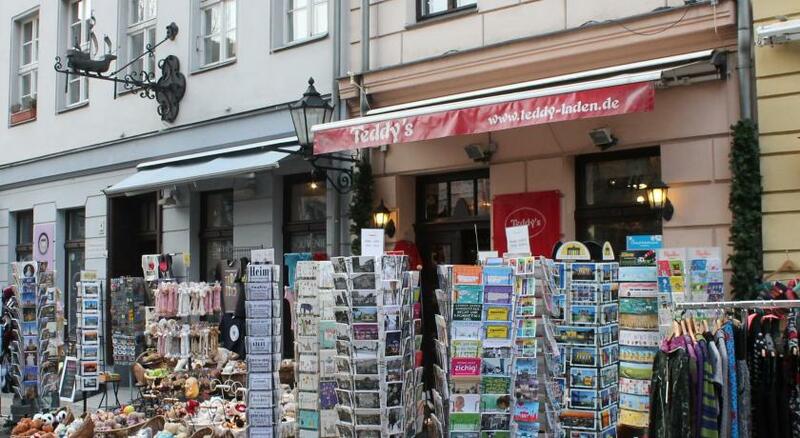 It is very close to the main attractions in Berlin. 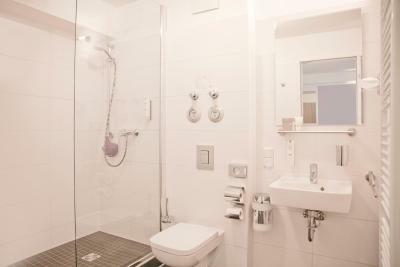 However, the surroundings are calm and quite and the rooms are both spacious and clean. Location is great! Some staff members were very welcoming and helpful! The location is perfect. 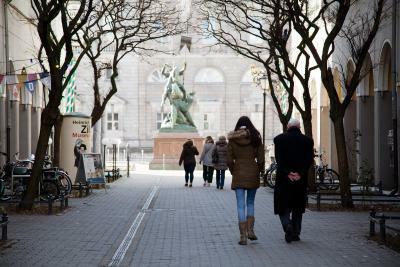 You are pretty close to Alexandrplatz and Berliner Dom and also public transports. Staff are very friendly, and the room was cool. 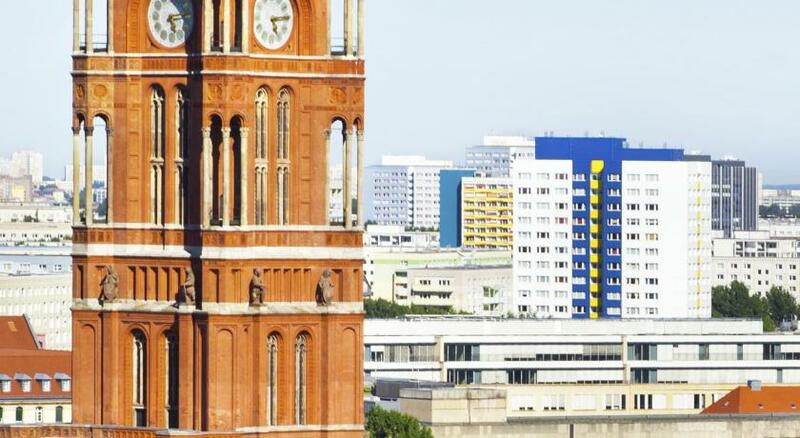 I would prefer to stay again here for my next Berlin trip. Thanks. 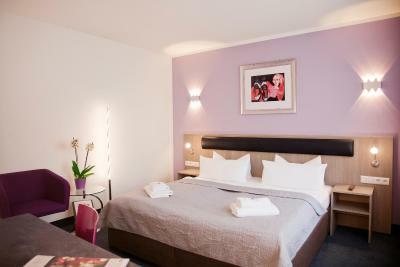 The beds were very comfortable and they had a nice selection of pillow types and plenty extra. We booked for 2 adults, a teen, and 2 older children. We had plenty of room with space to spare and a bit of privacy for all! 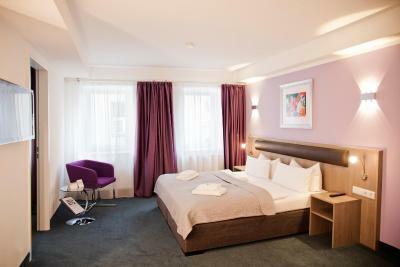 Hotel Nikolai Residence is in the lovely historic Nikolai district of Berlin, with cobbled streets and many restaurants and stores all around, in easy walking distance of main sights of Berlin. 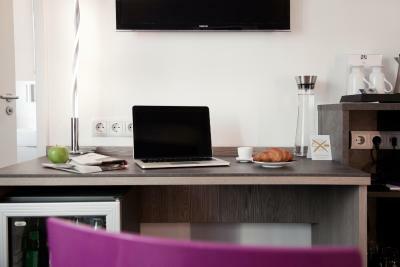 Hotel is modern, quiet, clean and comfortable. 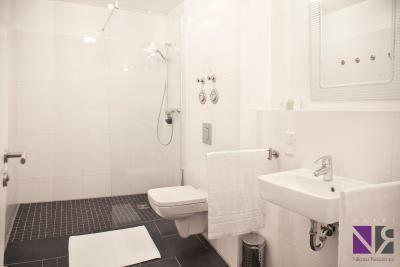 Hotel Nikolai Residence This rating is a reflection of how the property compares to the industry standard when it comes to price, facilities and services available. It's based on a self-evaluation by the property. Use this rating to help choose your stay! 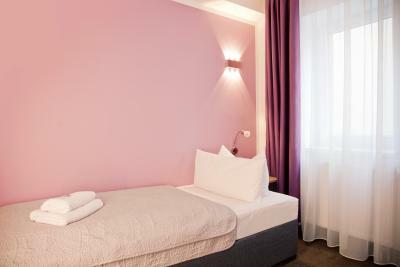 Along with free WiFi, Hotel Nikolai Residence offers rooms in an extremely central location just a 10-minute walk from Alexanderplatz Square. 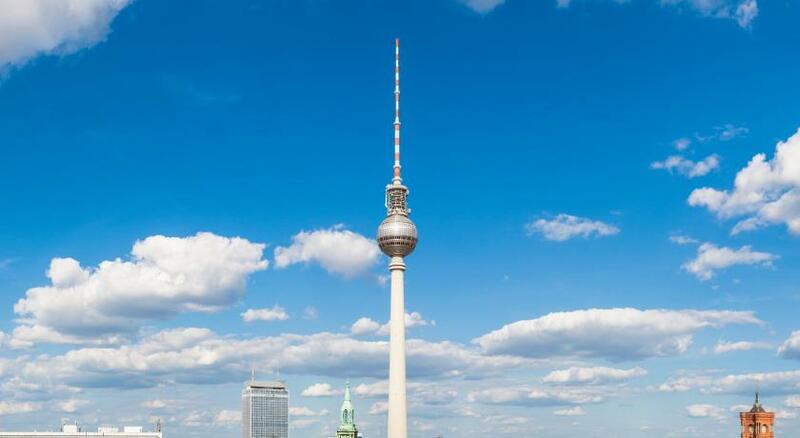 The Fernseher Turm TV tower is only 1,650 feet away. 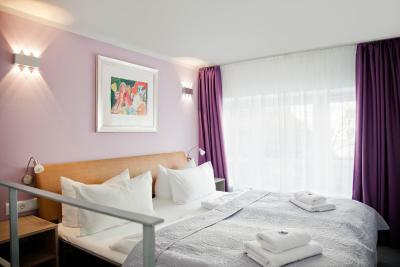 Rooms at Hotel Nikolai Residence are stylish and modern. 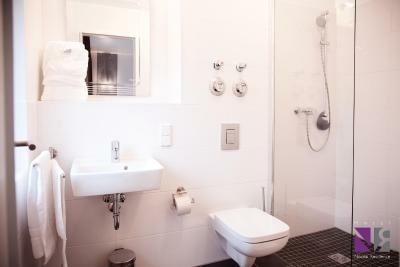 They include a flat-screen TV, a seating area, a mini-bar and a private bathroom with a shower, a hairdryer and free toiletries. A variety of bakeries, cafés, restaurants and bars can be reached within a 10-minute walk of the property. Cuisine on offer ranges from traditional, local dishes to international specialties. 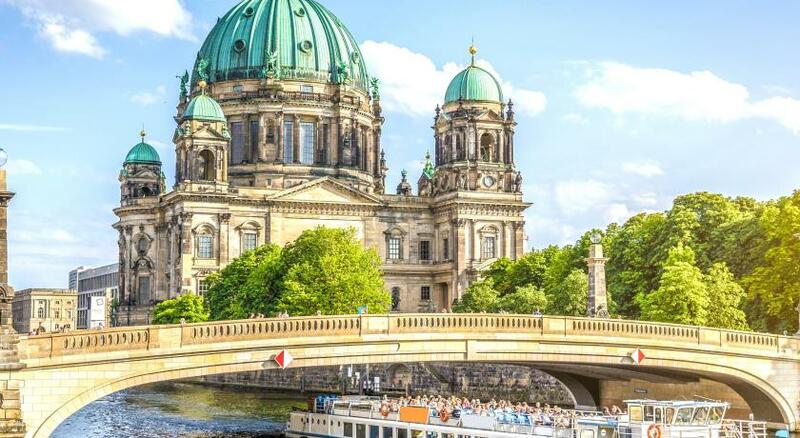 Berlin Cathedral and Museum Island are only 2,300 feet from Hotel Nikolai Residence. The Brandenburg Gate and the Reichstag government building are only 15 minutes away by public transport. 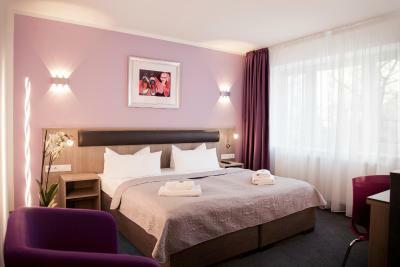 When would you like to stay at Hotel Nikolai Residence? 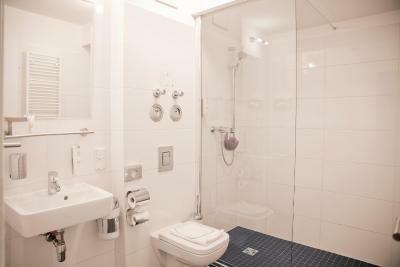 This modern room has a flat-screen TV, a minibar and a private bathroom with a shower, a hairdryer and free toiletries. Some include their own terrace. This room features additional space. We offer a Tablet PC in every Room aswell as a free bottle of water at your arrival and coffe and tee as much as you like cost free of course. You can check in at any day and night time... We offer you a LATE CHECK IN. 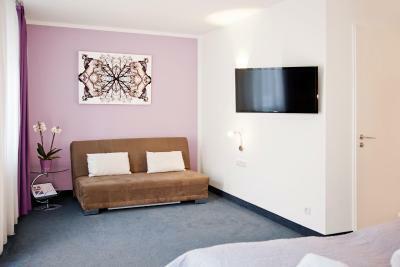 We have the newest Art Pictures from Wolgang Brückner and Elvira Bach in our Hotel. 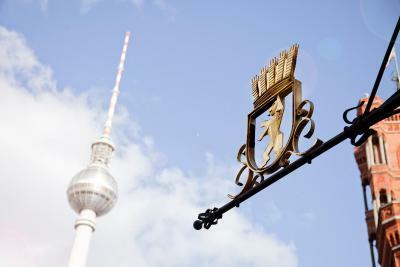 We are a small family runned Hotel chain in Berlin that is welcomening you soon. House Rules Hotel Nikolai Residence takes special requests – add in the next step! Debit card Hotel Nikolai Residence accepts these cards and reserves the right to temporarily hold an amount prior to arrival. Hotel Nikolai Residence accepts these cards and reserves the right to temporarily hold an amount prior to arrival. 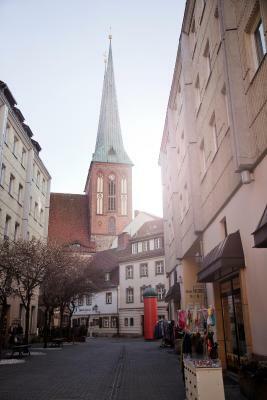 A multi-story car park can be found just 1,150 feet from the hotel, in Grunerstr. 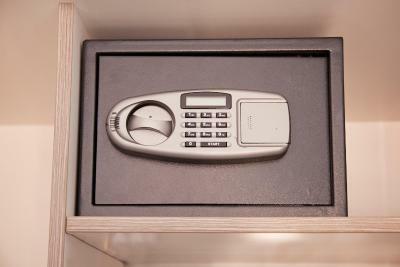 The property reserves to right to pre-authorize your credit card to the amount of the first night's stay. On check-in, guests are required to present a photo ID as well as the credit card used to make the booking. Please note the reception is only staffed between 07:00 and 21:00. 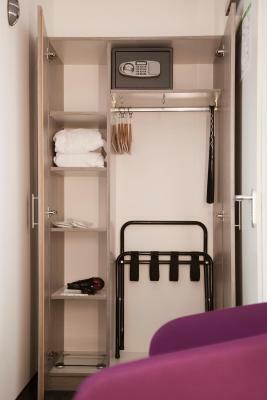 Guests booking after 18:00 and checking in the same evening must note that no extra beds or no cots can be arranged at such short notice. 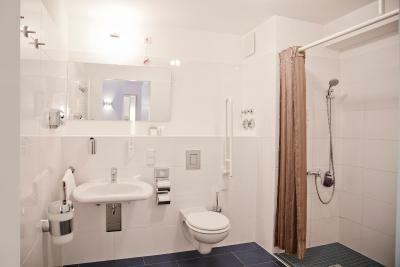 Please note that the property is located in the heart of Berlin. 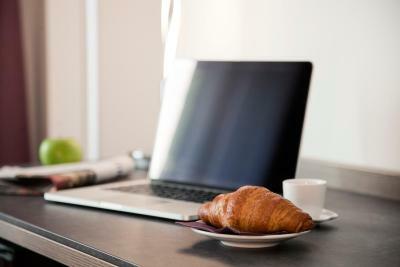 Add-ons are not included in the price of the reservation and may be subject to an extra charge at the property. 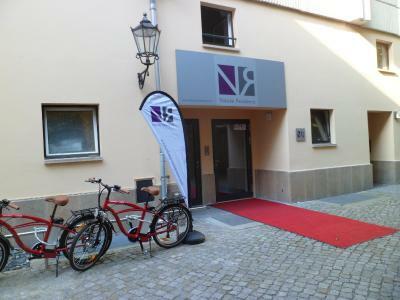 The property has no parking facilities but can give guests a parking permit (subject to a security deposit of EUR 50) to use the street parking zone next to the property. On-street parking is also subject to a daily surcharge of EUR 15. 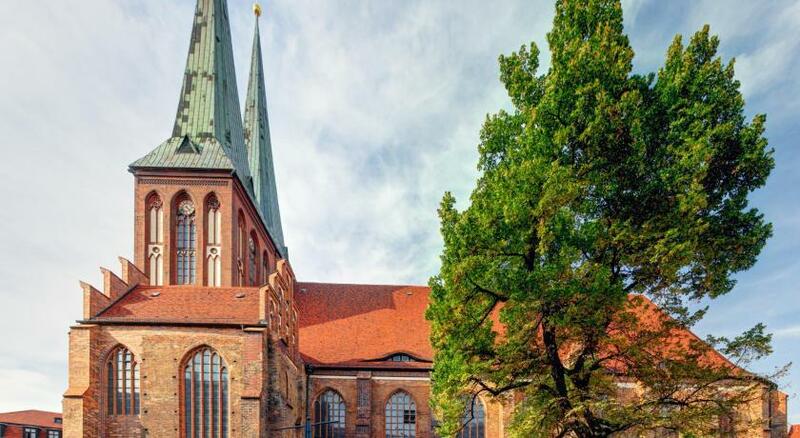 Guests arriving by car should also ensure they purchase an environmental sticker (in German: Umweltplakette) in advance and display this in their car. Please inform Hotel Nikolai Residence of your expected arrival time in advance. You can use the Special Requests box when booking, or contact the property directly using the contact details in your confirmation. Location was great, host met us even though arrived hours early, room was clean, comfortable and spacious. Great welcome. Great location. Great value. Room suited our needs. 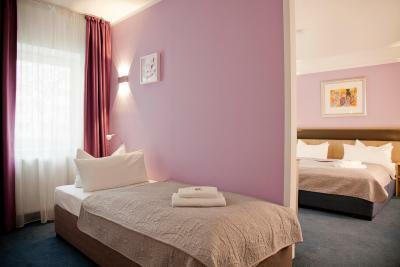 Location of the hotel is excellent, people are very helpful and friendly, room is very clean. We were very happy! No meals available at the hotel. But there are good restaurants and cafés nearby. So it is not so bad! Location, comfortable room, amenities, silence, cleanness... Everything was good!! This was such a hidden gem! 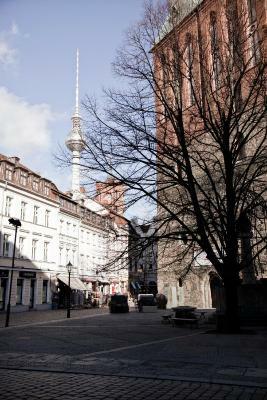 Away from the hustle of Alexanderplatz and in a more traditional setting. The hotel was close to everything we needed, including restaurants. The room was spacious, comfortable and one of the cleanest we have ever stayed in. The safety deposit box in the room is a plus. Definitely recommend-we will be back!! Very warm welcome. Very nice and clean rooms. Even teenager travelling with us was happy. 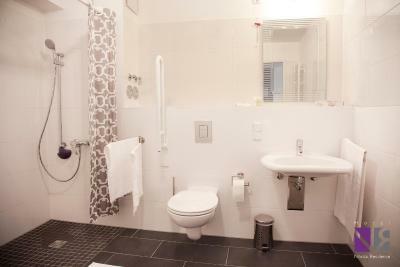 Great value hotel in a very central location. Very friendly and polite welcome with a coffee offered on arrival. Excellent advice on where to go for an evening meal, we enjoyed Mutter Hoppe round the corner, a great experience and delicious food. This is hard...well, I guess a list of local places to eat "german food" would help. The list for breakfast was awesome. Our favorite #2 Mathilda! The cleaners were very loud in the morning and woke us up, when asked to be quiet they did not speak English and continued to be very loud talking and giggling. Was really happy with the hotel, our room was very clean and pretty. The location is good because its in the middle of everything but that meant a 30 minute walk to each location in the other direction of the next location. I would recommend this accommodation to a friend. Late check in was unexpected. It is humiliation.